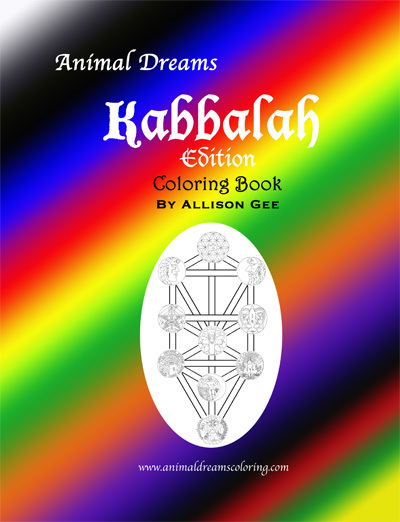 To order copies please visit the online STORE. (You will be directed to the author's storefront on the distributor's website). 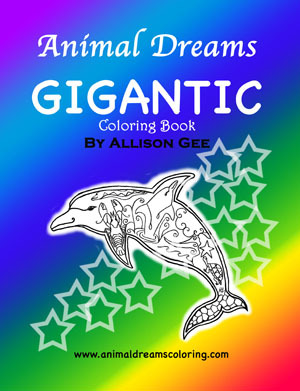 Disclaimer: Although this animal art may appear very similar to other animal in animal drawn art, these images are original images, based on an original idea. 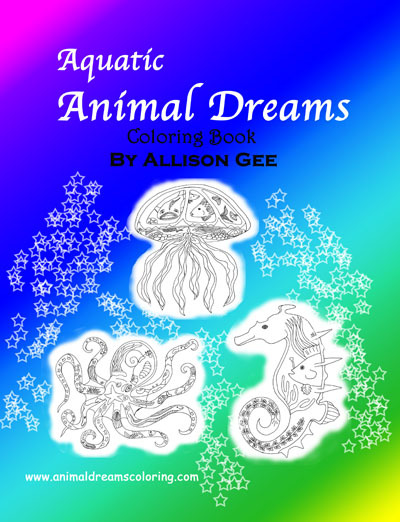 No other art, designs, or drawings were copied or were the inspiration for the making of Animal Dreams Coloring Books. The idea arose out of an activity done with children while working in childcare. 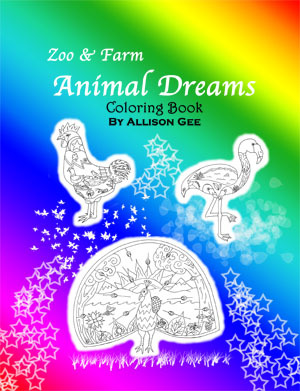 The outline of animals were drawn by viewing several photos of the real animal. 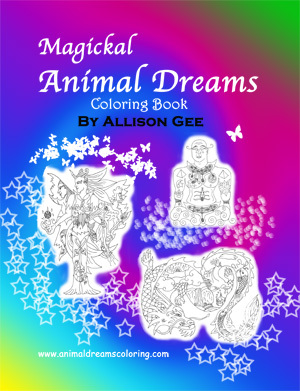 Within each animal are drawn images of what the animal might dream about. 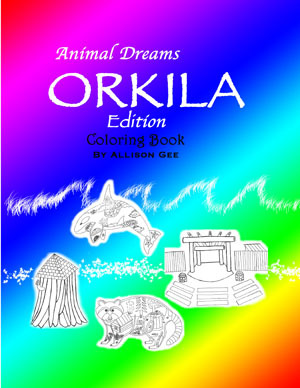 Suggestions for design and what an animal might dream about were often provided by children, family, and friends. 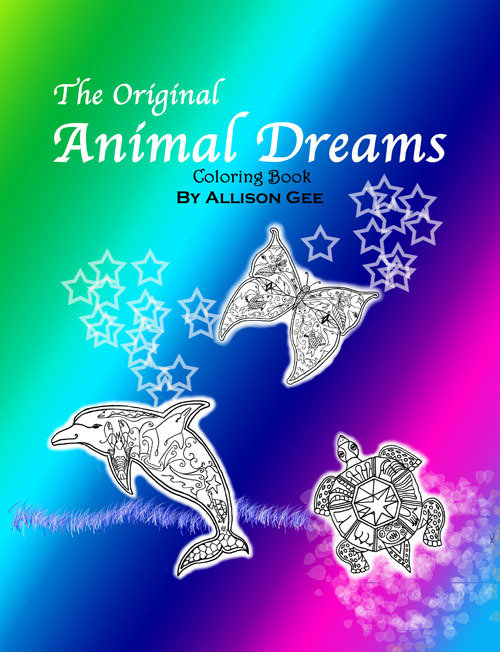 All 8 coloring books were published in one year. As she knew these drawings were original, the author was unaware that there was a gamut of other well known animal in animal drawn art. 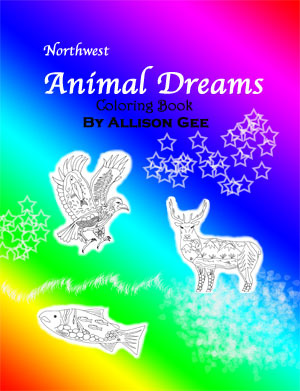 Allison Gee has since moved on to other creative outlets, such as poetry.